My Miracles  thats what author G. Stone entitled the manuscript she sent us. The prayers, spells and chants she writes of bring the miracles she claims. Disillusioned with the occult, she could not understand why the spells in various books did not work for her. She took stock of her situation and began experimenting. The results impressed her and the other people she shared them with. THESE PRAYERS, SPELLS AND CHANTS USUALLY WORK WITHIN A FEW DAYS, she claims. Some take longer, depending on the circumstances, but work unfailingly they do, she claims. She provides spell after spell for bringing money. Nothing is complicated. Which ever one you use will work, she emphatically says. SOMEONE YOU HAVENT SEEN IN AGES WILL FEEL A SUDDEN URGE TO CONTACT YOU, if thats what you want, she says. The exact spell is in this booklet. IF YOU HAVE LOST SOMETHING, OR IT HAS BEEN STOLEN  IT CAN BE BROUGHT BACK. Crazy? Impossible? No  just magick! Miss Stone says. Whatever your wish, whatever your dream  dare to want it! Apply the simple instructions here and see what happens! 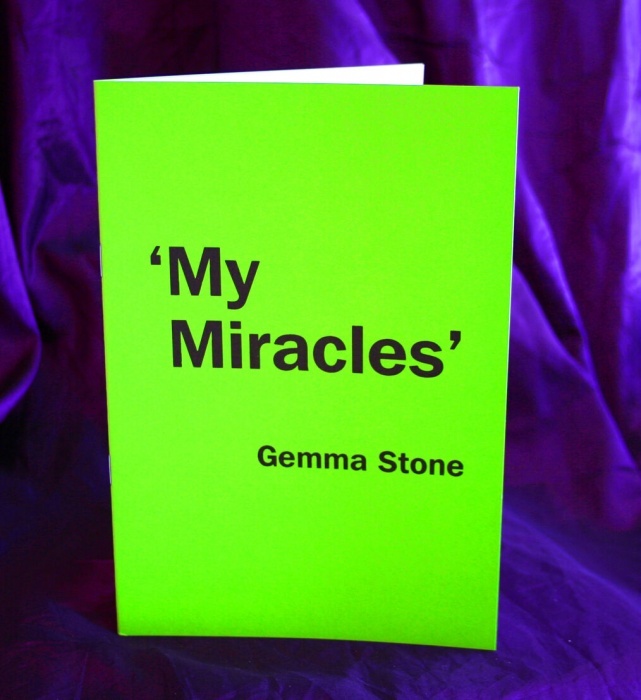 Miss Stone calls her booklet My Miracles because that is what these spells and prayers make happen, she says. ILLNESS, DISEASE  NOT ONLY IN YOURSELF BUT ALSO OTHERS  CAN BE TREATED. And so simply! Love, friendship, money, romance, health  you name it  My Miracles can become Your Miracles, she claims. No experience needed. Anyone of any faith can use these spells and chants. This is white magick  for the good and benefit of all! Miss Stone does not use the word miracles lightly; Miracles didnt stop in Jesus day, she writes.